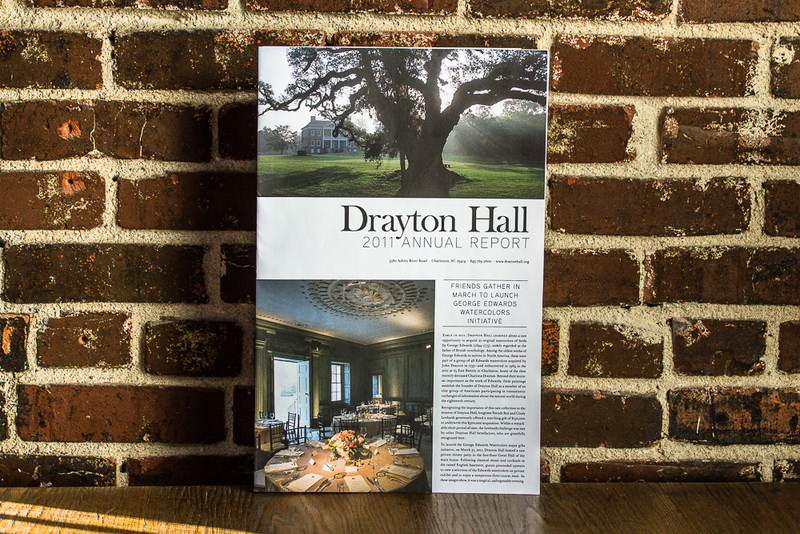 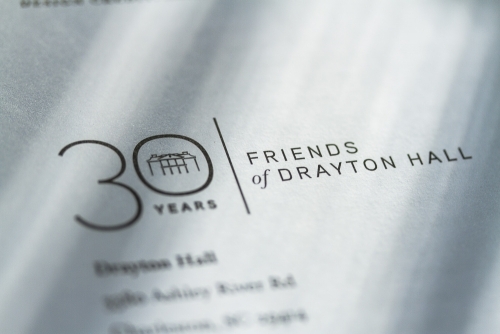 The wonderful-to-work-with team over at Drayton Hall asked us to design their 2011 annual report (which was actually published in 2012). 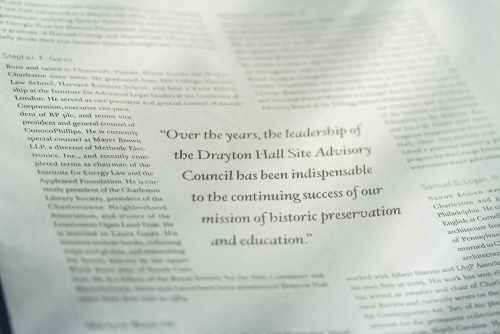 Over the past few years, we reworked their wordmark, redesigned their Interiors newsletter, and created a whole bunch of environmental site signage to guide visitors through their experience at the historic site. Drayton Hall is a former plantation home in South Carolina, and like other former Southern plantations, its history is deeply intertwined with slavery. 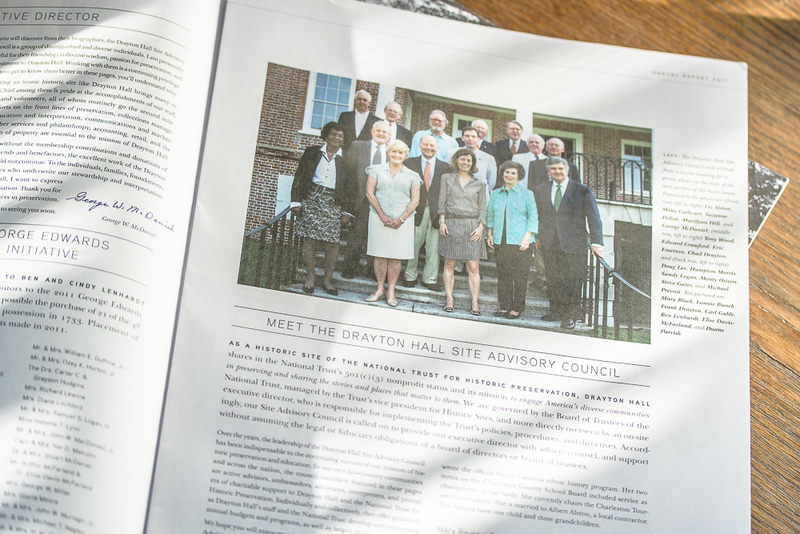 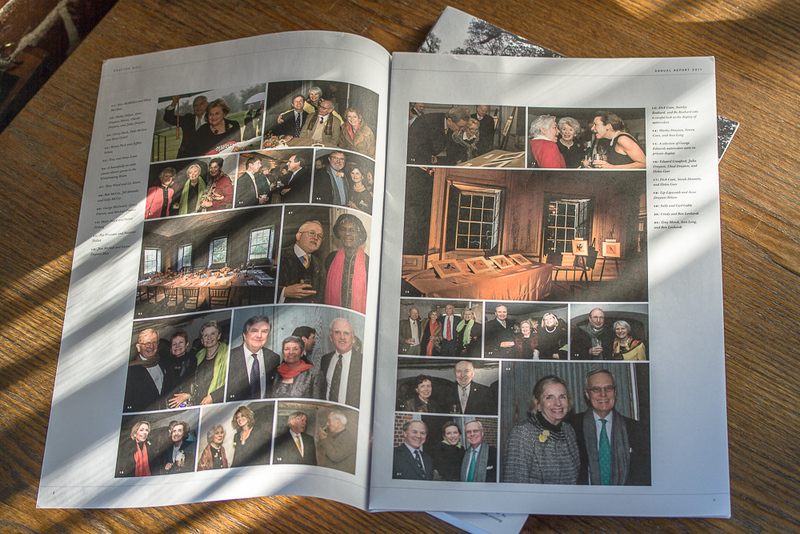 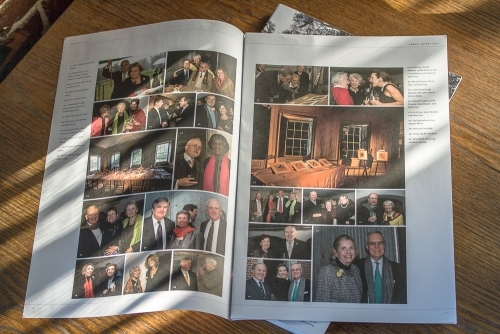 Stephen Colbert (yes, the), who is actually listed in the annual report’s donor list along with his wife, humorously acknowledged its checkered past, and displayed a photo of Drayton Hall during his December 10th episode. The best thing about the way Drayton Hall operates, though, is that its caretakers have chosen to carefully preserve everything as-is, and to use interpretive tools to allow visitors to get a sense of how the site changed over time—both physically, and in terms of its role throughout shifting circumstances. It serves as a testament to the complexity of history; it’s a treasured former home to the Drayton family, and also the final resting place for many who were enslaved there. 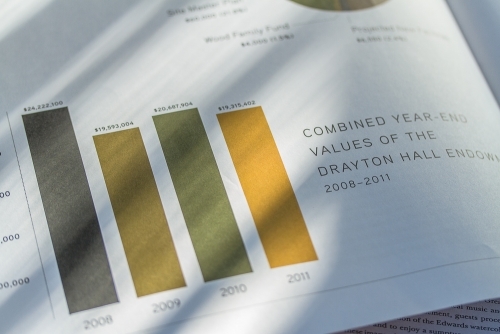 It’s many different things to many different people, and its role as an educational experience is critical. 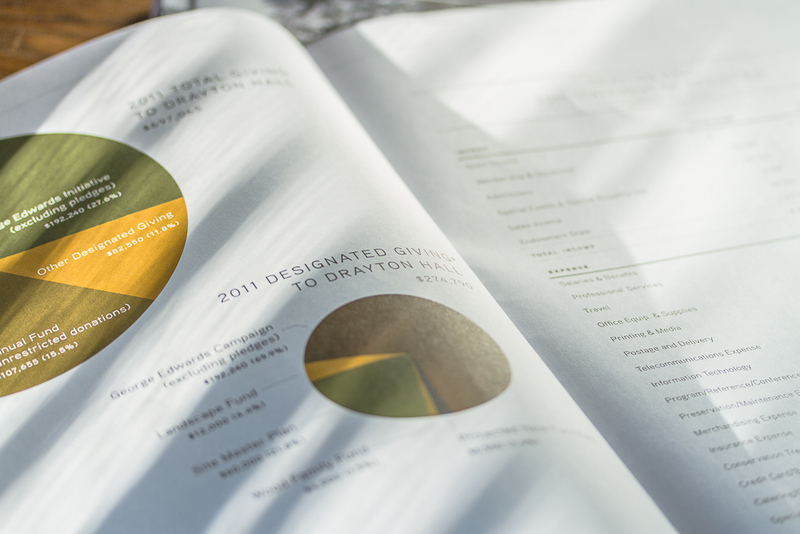 Our goal for the design of the annual report was to present all of the important information clearly, to highlight the beauty of the location itself, and the passion of those who continue to support it. 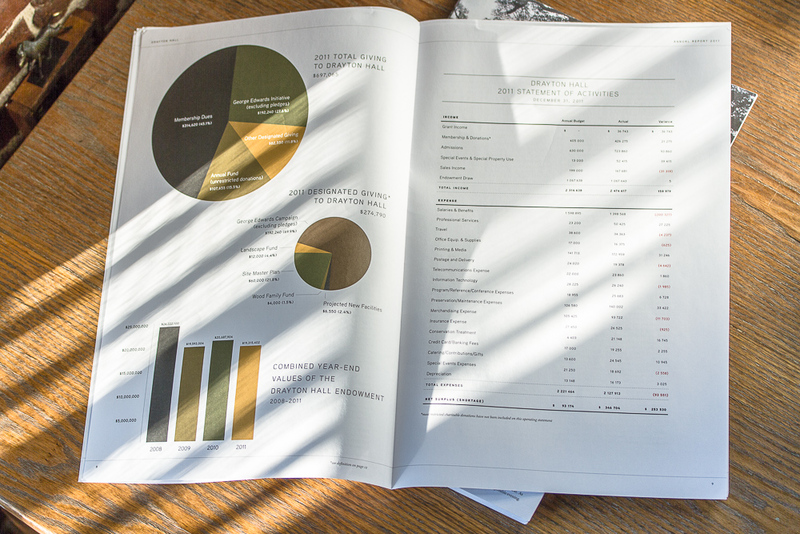 We mirrored the warmth of the photography with a warm color palette for the graphs of financial data, and honored the architecture of the site with balanced page layouts. 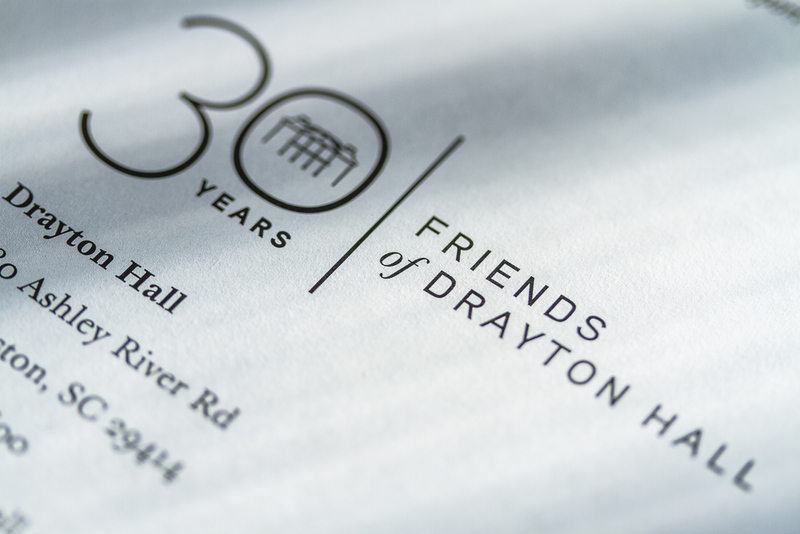 The elegant type palette blends the 18th century with the 21st, spanning the same period in history as has Drayton Hall. 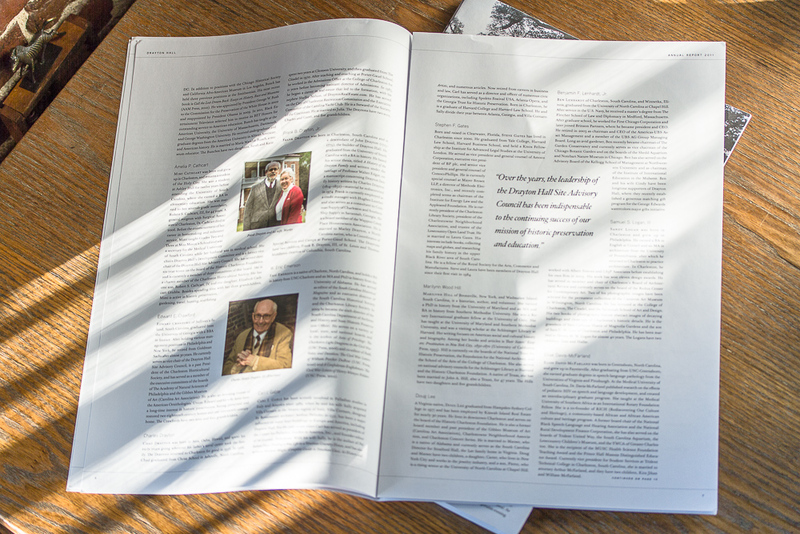 The final result was printed in 11″ × 17″ tabloid format on uncoated paper, large enough to hold a lot of information on one page legibly, but easily folded in half for mailing. 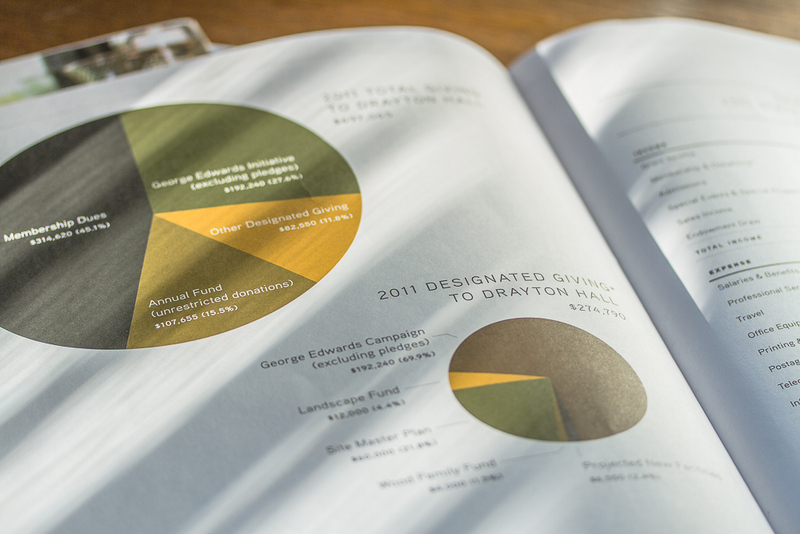 If you would like to work with Three Steps Ahead to design your organization’s next annual report, do get in touch.